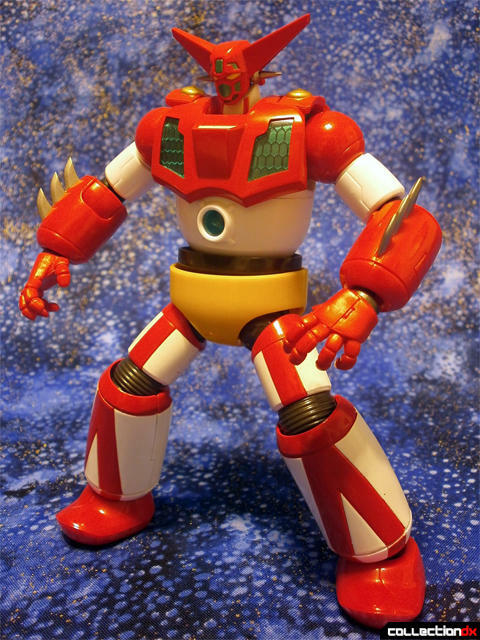 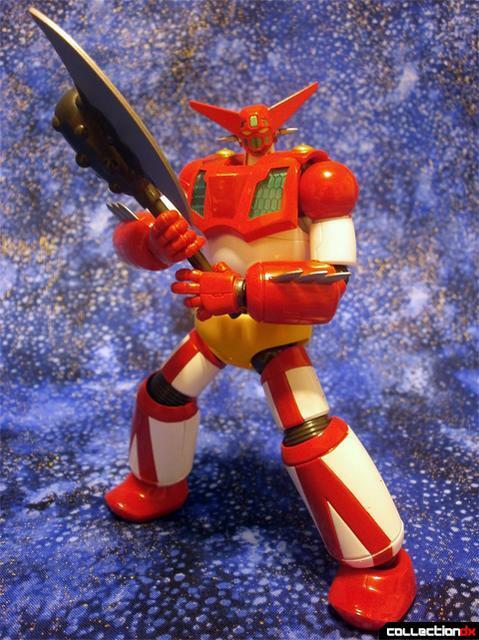 One of the newest entries in the Super Robot Chogokin line is the classic Getter 1, from his appearance in the OVA Getter Robo: Last Day of the World (localized in the US as Getter Robo Armageddon). 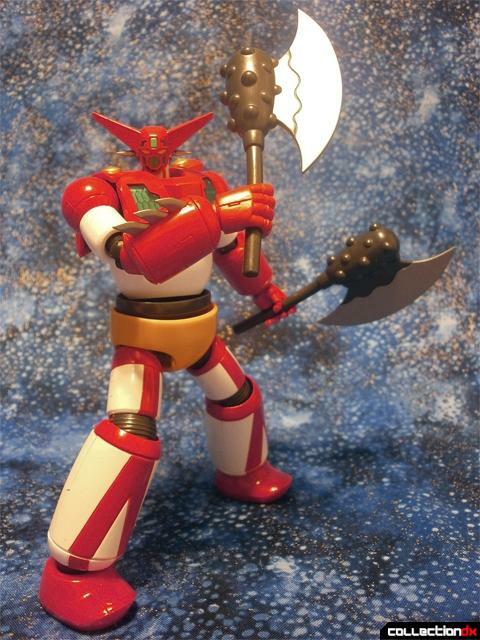 While I would have preferred a figure based off the original Getter Robo design, this is still a very solid figure that’s a worthy successor to the earlier Shin Getter SRC. 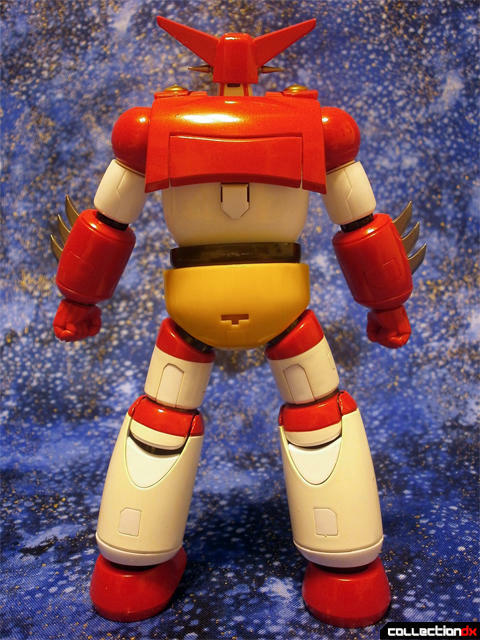 As usual with the Super Robot Chogokin line, there’s not actually much gokin in this figure, just some in the lower legs. 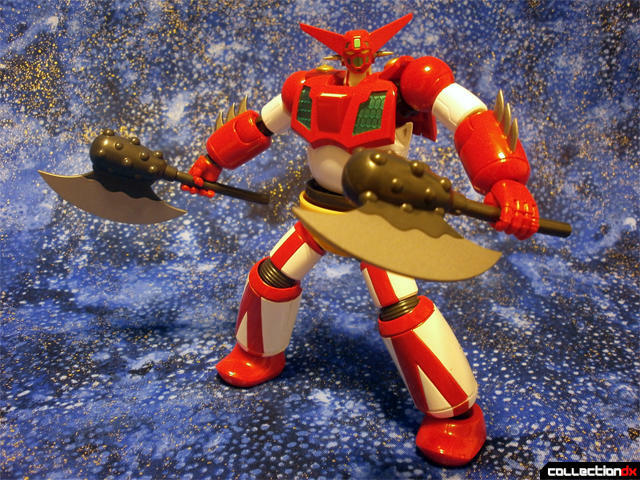 Included with Getter are six hands, two tomahawks, an alternate chest piece, a Getter Beam effect part, a Tamashii stand adaptor, and the Getter Wing. 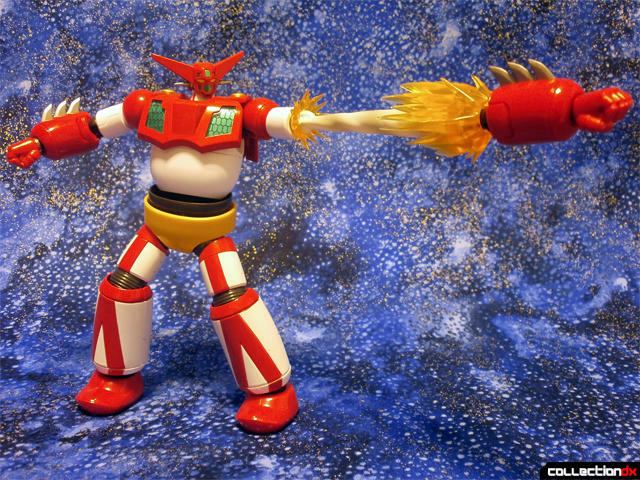 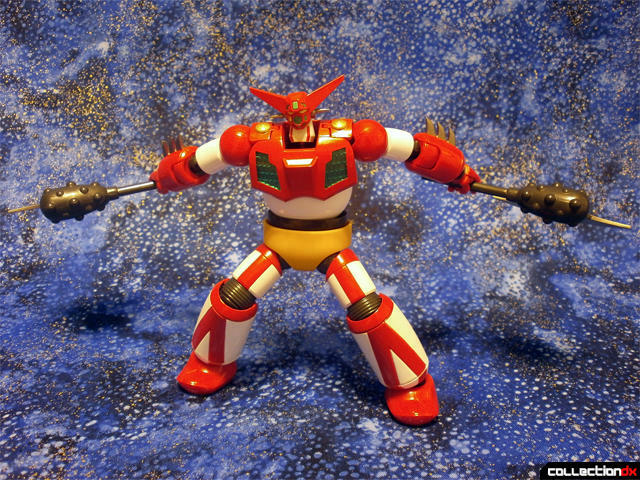 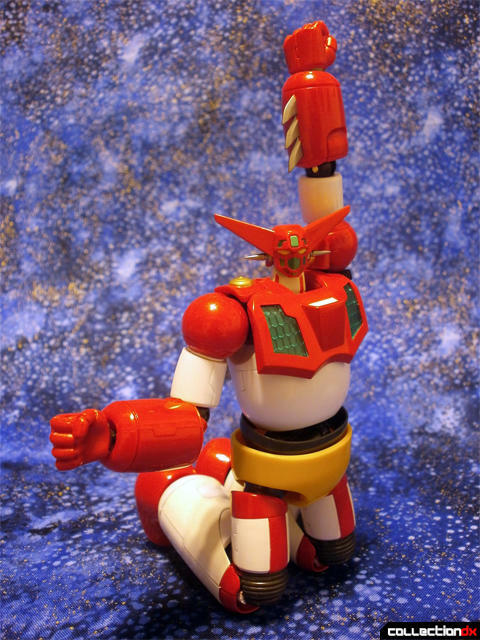 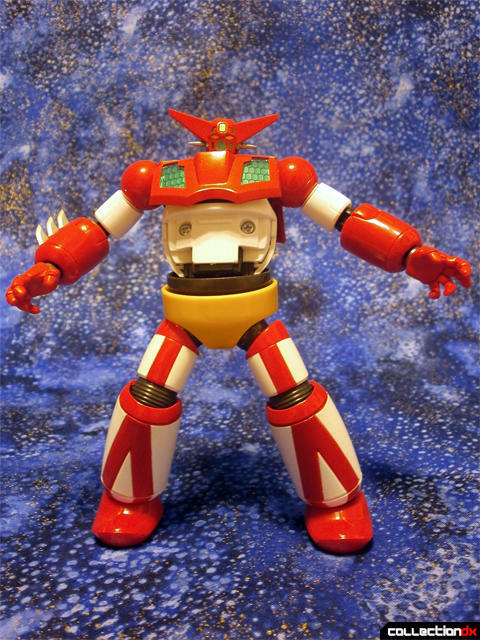 Getter’s articulation is good; his shoulder pads are hinged so the arms can be raised as high as possible. 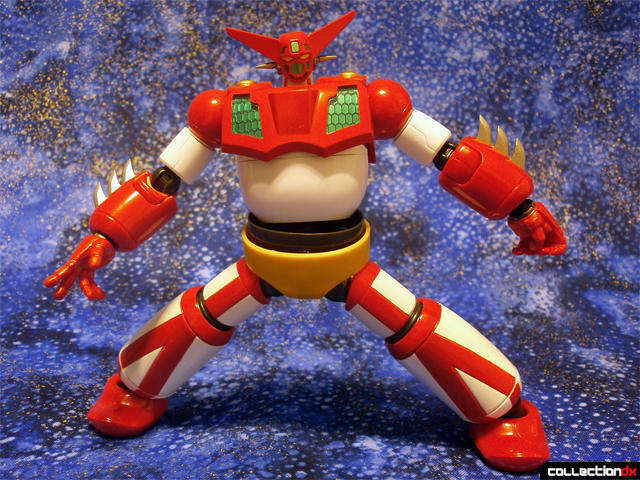 It can also do an impressive split. 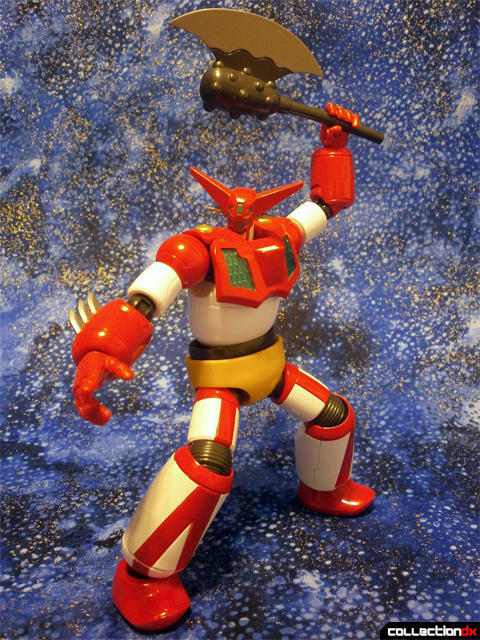 Like many other Super Robot Chogokin Figures, Getter has the “Crossover Joint” system so he can use the limbs, backpacks, and effect parts of other SRCs. 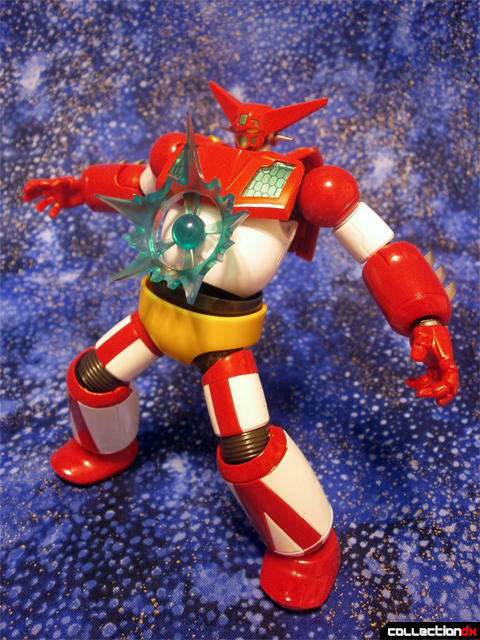 To use the Getter Beam, simply swap the chest piece out and replace the center part. 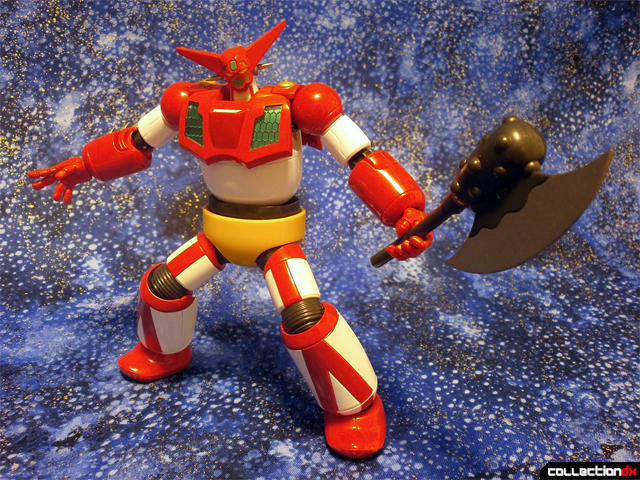 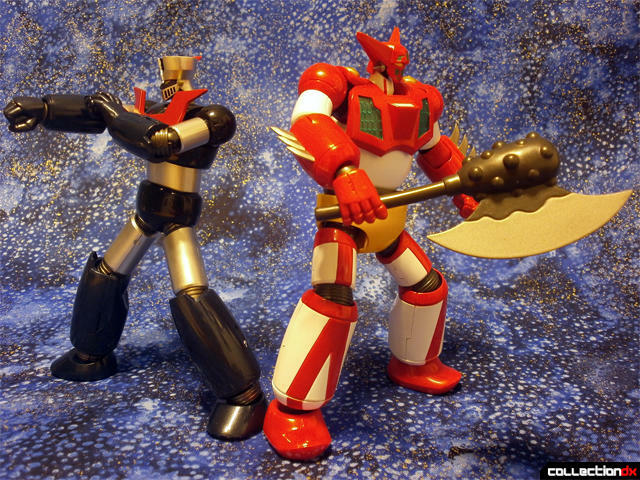 Getter Robo always looks its best when wielding a giant pair of tomahawks. 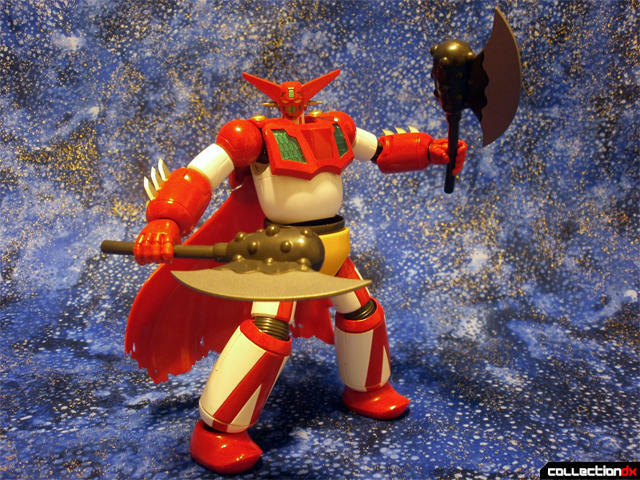 One of the most notable differences between the original and OVA versions of Getter Robo is the tattered version of the Getter Wing. 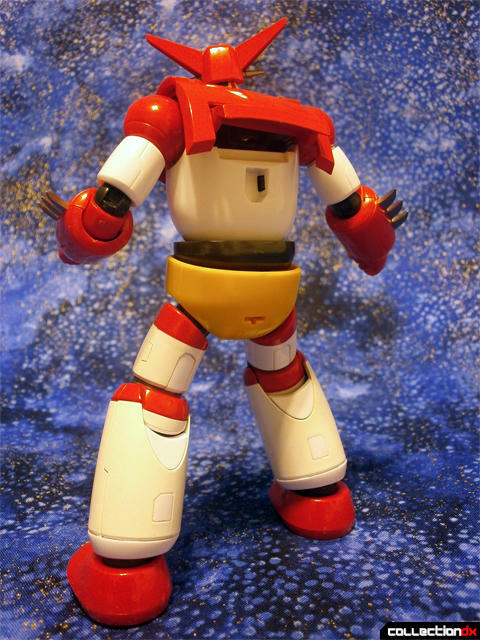 To attach it you have to remove a small piece from a port in the back that is a lot more difficult to get out than you’d think. 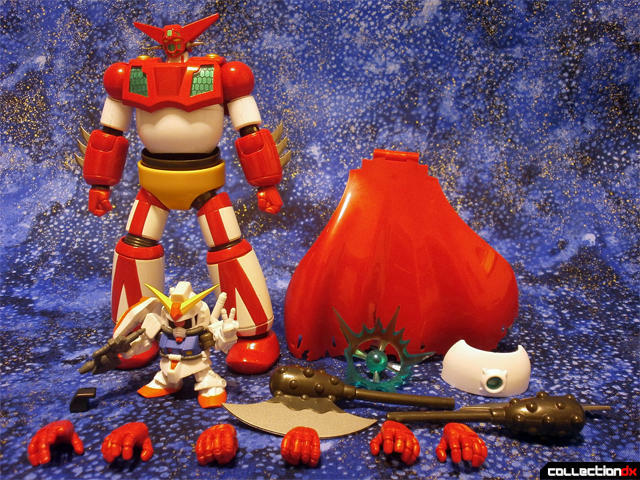 Most importantly, Getter looks superb alongside his Dynamic Pro brethren. 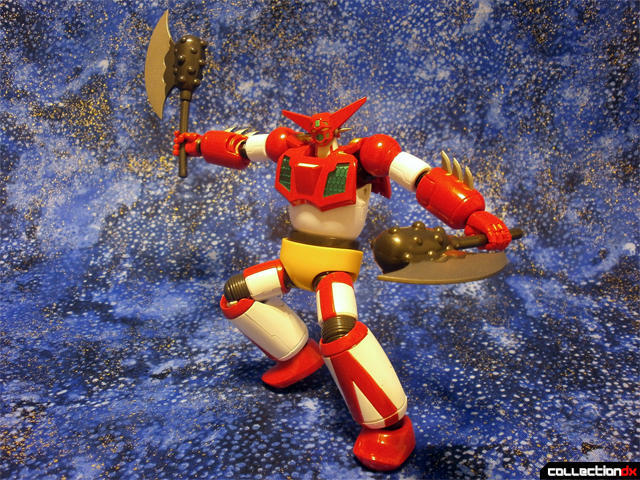 While it feels like it could use some more accessories, Super Robot Chogokin Getter 1 is a great figure, and I really hope (but don’t expect) Bandai will release a Getter 2 and Getter 3 to go with. 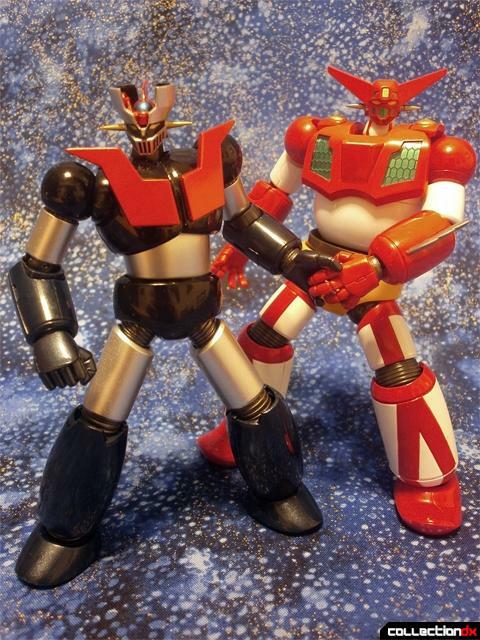 There are currently 0 users and 41 guests online.